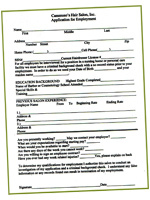 Our Employment Application is available as a PDF download. Interested in a career at Cammuso's? We're always eager to hear from talented and motivated individuals who can make a difference.